The shortcode [mst_profile] shows digest and subscription/unsubscription options to logged-in users. 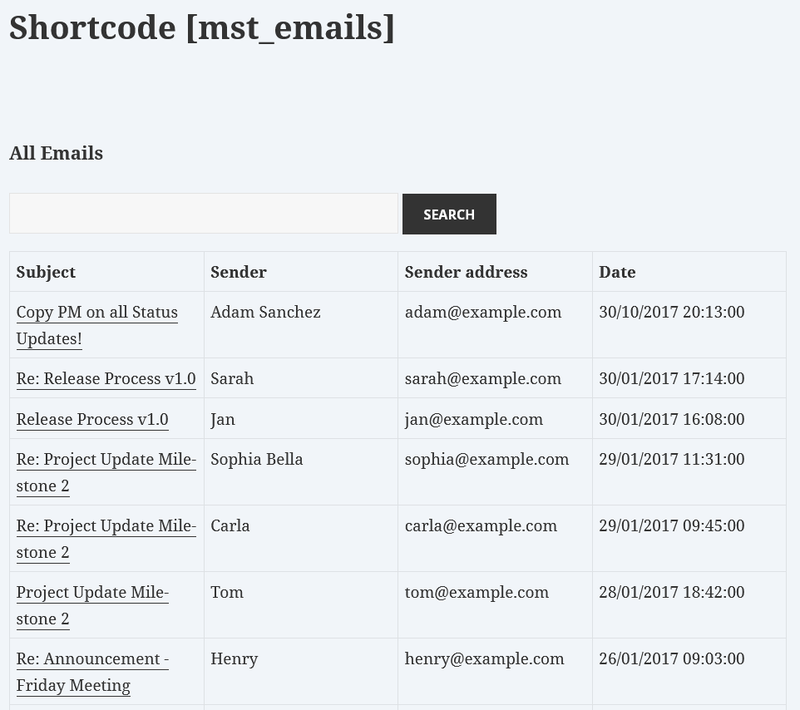 The shortcode [mst_emails] shortcode displays all past emails in a chronological way. The shortcode [mst_emails] is only available in WP Mailster Society & Enterprise. The shortcode [mst_mailing_lists] displays all mailing lists while adhering to the lists’ access settings. 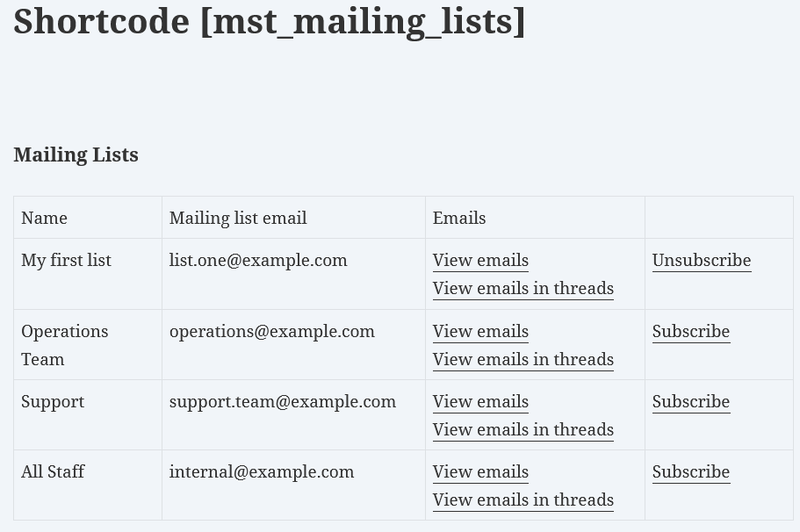 The shortcode [mst_mailing_lists] is only available in WP Mailster Society & Enterprise.